One of the benefits of getting older is being able to predict on Monday morning how I’m likely to feel by Friday afternoon. This crystal ball shows up as my color-coded weekly calendar. The more color on my spreadsheet, the more I need to pay attention. 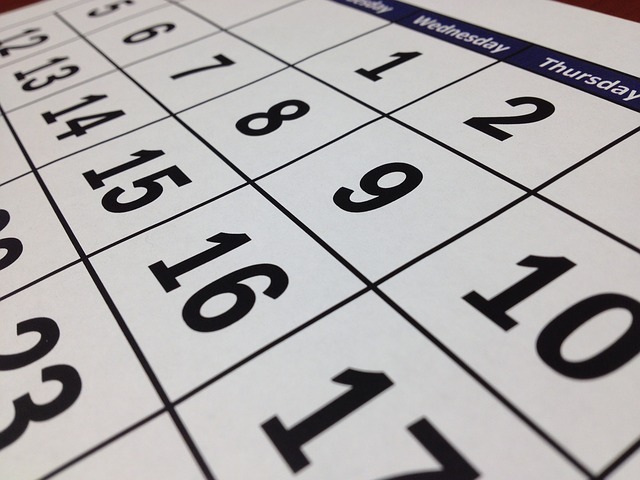 A loaded calendar means more activity and the need to be vigilant about self-care. Less color on the page means more white space. More white space means more clarity, peace and even joy. Hence, I live for white space. I know some people that can go, go and then go some more. I’m not one of those people. I’ve learned the hard way that I need downtime — everyday — moments or preferably hours of unscheduled white space. Truth be told, I need to put myself into “timeout”on a daily basis. If I don’t, I get cranky. When my daily calendar is packed with colored blocks from morning until night my happiness meter goes awry. When I’m overly busy, I am not a happy camper. .
I’ve learned to say “No” to casually adding colored blocks to my schedule and “Yes” to the bliss of empty patches. I almost always say “No” to lunch meetings and to “let’s meet for coffee to catch up.” (my secret is out). It’s not that I don’t want to socialize or discuss a business opportunity over salad. Seriously, my clarity and happiness is at stake! Like I said, I need white space every day. I now pause before saying yes to “let’s get together.” I batch errands and meetings to save time. I defend my white space like a warrior. Does this sound extreme to you? Seriously, I consciously write out my schedule on my calendar like a Jedi or a Buddhist monk creating sand art. My health and happiness depends on my daily white space. And I’m not alone. What happened to us? It’s amazing that a species as highly developed as our own has allowed our schedules and priorities to get so out of whack. We really truly believe that “getting more done” leads to more happiness somewhere over the rainbow. In fact, our calendars look like rainbows! Where’s the white space in our lives? We’ve been trained to “be productive” from an early age. Children learn how to pack a day by preschool. By the time our kids are in middle school they are bound to their colorful assignment books stocked with lists, due dates and homework. When my kids were younger they’d march in the door after school and start right at it diligently crossing off assignments. Being the pot calling the kettle black, I would send them outside to take a break before homework. Go lie down in the grass and look up at the clouds. Of course there are days and sometimes weeks when my calendar is jam-packed with colored blocks. After all, I’m still a first-rate doer and I like getting stuff done. However, I’ve paid the piper once too many times in my life. I need white space or I know I’ll self-destruct by Friday. So what happens when I meet a day packed with colored blocks? I take a breath and smile knowing somewhere in the future white space awaits me. I can picture the clear space on my calendar. This image is sometimes all I need to settle down and press forward into my colorful day.